With the aim of being the best in the car tracker solutions, UK Car Tracker might not be the biggest but we are growing steadily. The company is focused on providing and preserving the most advanced but cost effective car and vehicle tracking solutions in the industry. 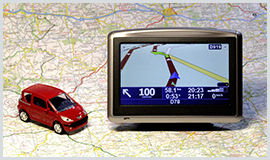 For the past few years, the company has grown and different major vehicle tracking development plans have been completed and achieved successfully. Also, the plans were attained ahead of the stipulated time and some leading features in the industry launched too. Before a new car tracking product is launched into the market, it has to go through stringent testing and have a positive user feedback. Many people confuse a big company and one that offers the best service and products to a person. UK Car Tracker may not be a big establishment, but it offers its clients with the best. Some companies might have been in the market for a long while, but that doesn't necessarily imply that they're the best choice to deal with. At UK Car Tracker we are focused on satisfying the client's needs. This is done by setting aside more time to listen to our customer needs and wants from which service and product ideas are derived from. A relationship is then built between us and our customers leading to provision of better services at very favorable rates. Through continued investments, our product range has expanded. This is as a result of our software being written in-house, where customer ideas, requests and needs on the vehicle tracking solution are developed from. The company aims to accomplish all the requests or ideas made by customers so as to create the best custom-built system possible that is specifically directed to every company's requirement. After showing progress and resilience in the way we produce and market our services and products, we are definitely growing big with a great customer approach in order to meet their needs.